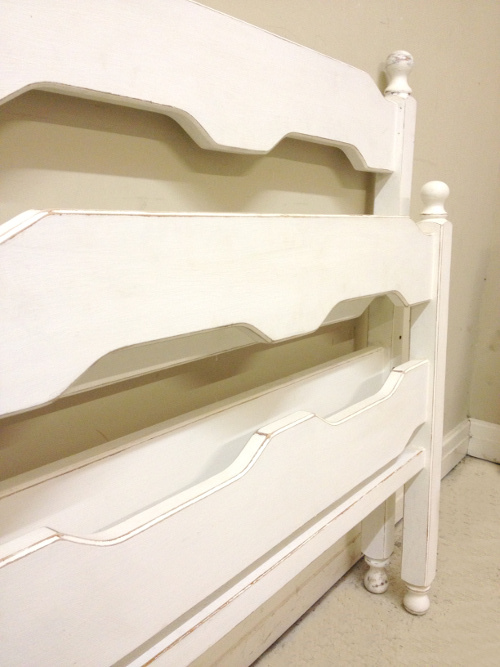 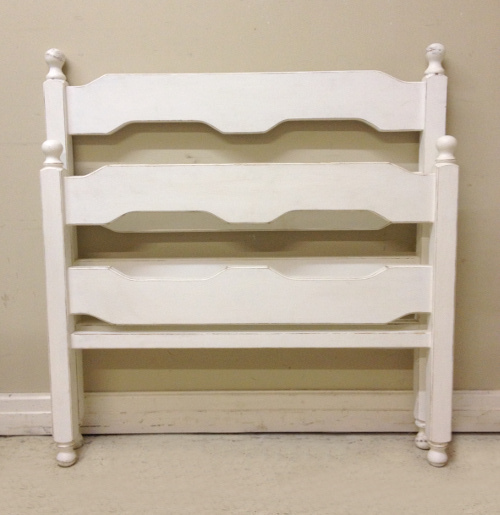 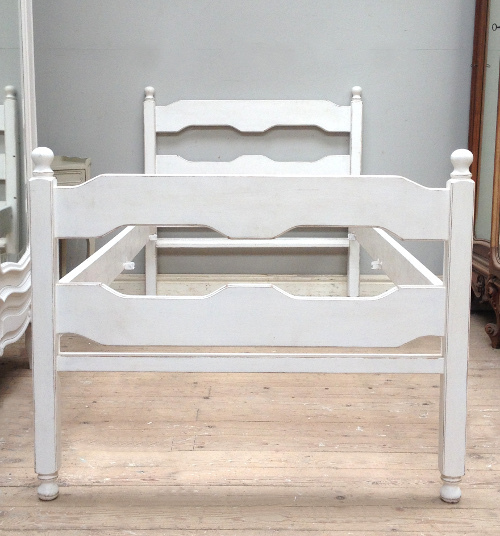 This wonderful pair of simply styled good quality antique single beds. 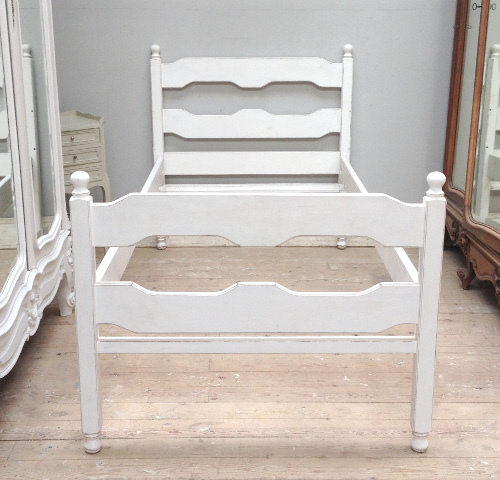 The bed has been painted in Farrow and Ball 'All White', lightly distressed and given a soft waxed finish. 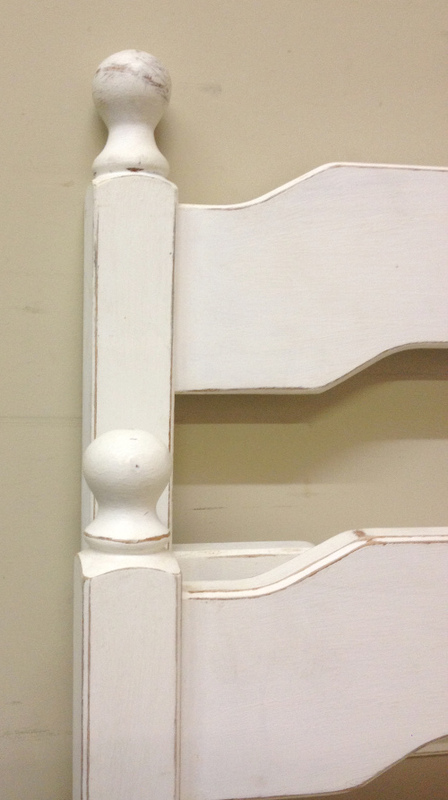 is in strong and sturdy condition with just a few minor knocks and bumps in keeping with its age c1900. 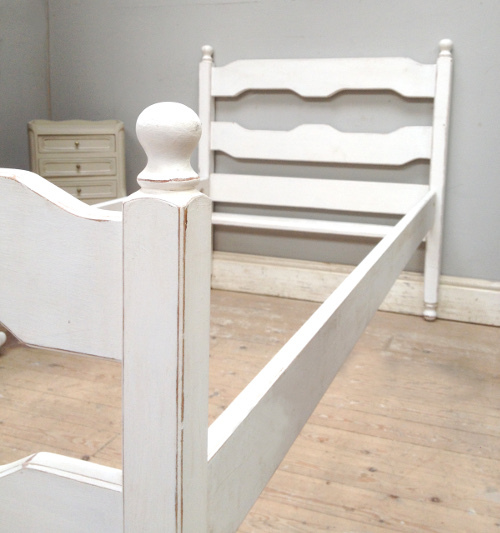 Each bed will take a standard single mattress (90cm x 190cm). 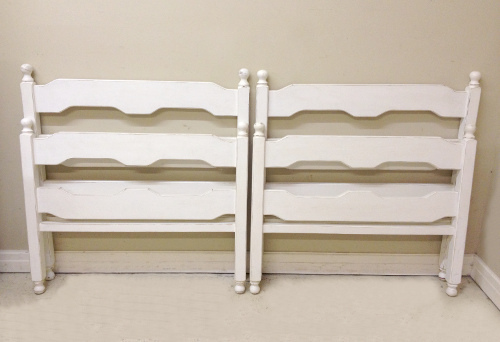 Custom made fabric covered bases shown included in the price. 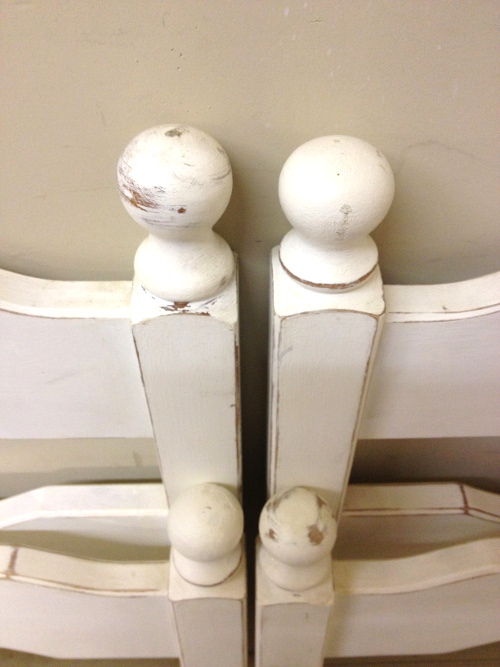 from our shop in Cheshire.